This upgrade page contains details of the latest release version. 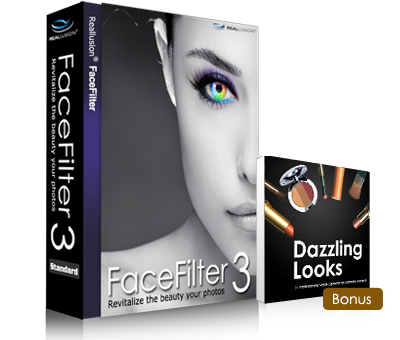 You can also check out Facefilter3 What's New page for more info. Available below are upgrade patches and packs to ensure you have the latest version of FaceFilter product installed. A version history is included so you can better understand the new features added or issues solved within a specific release. *Check out the System Requirement and Version Comparison. Last update on 6th March 2013. Check out the Version History for details. Ugrade price is applicable for the different purchase users. Please logon your premium page to view upgrade options and pricing. Facefilter3 can run alongside with Facefilter Studio 2. 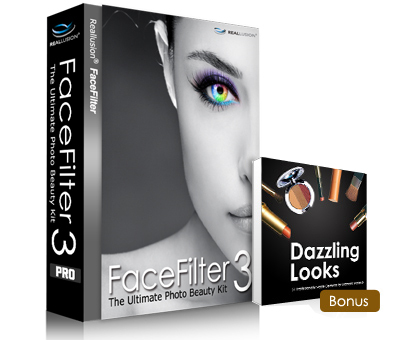 You can install Facefilter3 trial or full version without removing Facefilter Studio 2 program from your system. Box version Upgrade: Please first register your product on Reallusion's Premium Member page and get the upgrade offer. For any further upgrade questions, please contact Reallusion Support and provide your purchase ID number and serial number for further assistance. Fixed: Crash problem when continuously dragging or importing image/dng. Added: Project gallery in default Content Manager. Added: Preference settings for pop-up window display. Added: Ctrl+W hotkey for color picking. Fixed: Sharpen image in viewport. Fixed: Single-pixel line display defect in DOF effect section. Fixed: Crash problem when templates are continuously applied. Fixed: Crash problem when position is switched after mask is painted. New: Smart portrait, the new image color correction function, can auto-detect human face and skin color to create vibrant colorful photos from imperfectly lit images such as over/under exposed, taken with a low quality camera or washed due to backlighting. New: The new automatic red-eye reduction function can detect red eyes on multiple faces of the photos and restore them to normal eye color simultaneously. 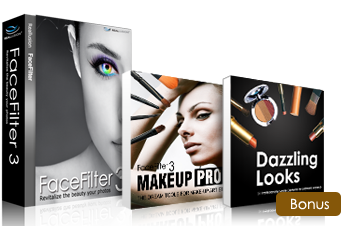 New: Support photo editing up to 12 Mega pixels. New: The new instant photo-sticker printing function supports juxtaposing various mood expressions printed at one time. New: Support print function and let you print all or selected area freely. Fixed: A crash occurred when users connected to some Wacom tablets.